The Raid is the film everyone’s talking about at the moment, Welsh Director Gareth Evans has created a action piece that will put to shame many big budget action films. Created for just a Million dollars and already has more then tripled it's profits in the USA alone. Now this is largely due to the film getting a decent World wide cinema release unlike his first film ''MERANTAU''. Now if you had seen or read my review of Merantau you would have known that Martial artist Iko Uwais (star of Merantau and The Raid) had proved himself as a upcoming action star in Merantau. Both this film and Merantau highlight the use of Indonesian Martial art ''SILAT'',of which Gareth Evans is a fan . Now The Raid's premise is quite simple, with Iko Uwais playing Rama a rookie Swat team member who embark on a raid of a multi story building which is being used as the base for crime boss Tama Riyadi who has made drug labs and a impenetrable base . Rama and his twenty man strong fellow Swat team members raid the building only to find themselves becoming the victims as the building is locked down and the team must fight to survive. The building also houses many families living in apartments rented to them by the crime boss. A call goes out to the residents to help in the apprehension of the Swat team by not allowing them refuge in their apartments. The Raid borrows from many films ,but it does it right and that's why it's been such a success, but is the Raid the greatest Action of recent years ? I doubt' it very much .It is indeed one this years best action films . Now it's quite obvious that many of the reviews the film has been getting are by many who have a low lack of knowledge of Asian Cinema. Now in the film of course has a lot in common with ''Die Hard'' but there's another Asian film which encompasses a similar story where a Swat team raid a building of some known criminals only to become the victims of a nasty game of cat and mouse. If you know your Cinema then your sure to know the film I am talking about. And the crazy thing is it's a bigger budget film which never got a mainstream cinema release in the UK and basically went straight to DVD when it eventually arrived . I'm not going to name the film ,but I have reviewed it on site. But that's not to say the Raid is lackluster ,in fact The Raid is a Hundred minutes of high octane action which uses some clever pyrotechnics to great effect and rounding it of with three or four great hand to hand combat battles showcasing once again Iko Uwais's proficiency at SILAT. I do how ever think some of the fight action where cut to fast with quite a few fast editing cuts during the fights, I would have liked some longer shots of the action from afar. (Old boy style ) as this showed how to film a fight in a tight space (you use a bigger space and make it seem small) , but saying that I thoroughly enjoyed The Raid and so should any fan of action cinema . Once again Iko Uwais has proven he is the next man to take the Action cinema by storm. I can only hope that he does not do what Tony Jaa did and fail to spread his wings and take flight and make films for other companies and enter a world market. We all know Tony Jaa turned down quite a few films that would have seen him in bigger budget productions. Instead trying to produce and direct himself in what can only be the two worst films of his career (Ong Bak 2-3,who knows if he can redeem himself) , I know that a third film from Gareth Evans and Iko Uwais is on the way soon and with a bigger production and all due to the success of The Raid.,but I also wish to see him more international productions against the likes of Donnie Yen,Wu Jing or Scott Adkins . Who knows he could be the next Big Martial arts star but in this reviewers eyes he already is . For those that have not seen The first film from Gareth Evans and Iko Uwais I suggest you do so as I still think it pips the post to The Raid. 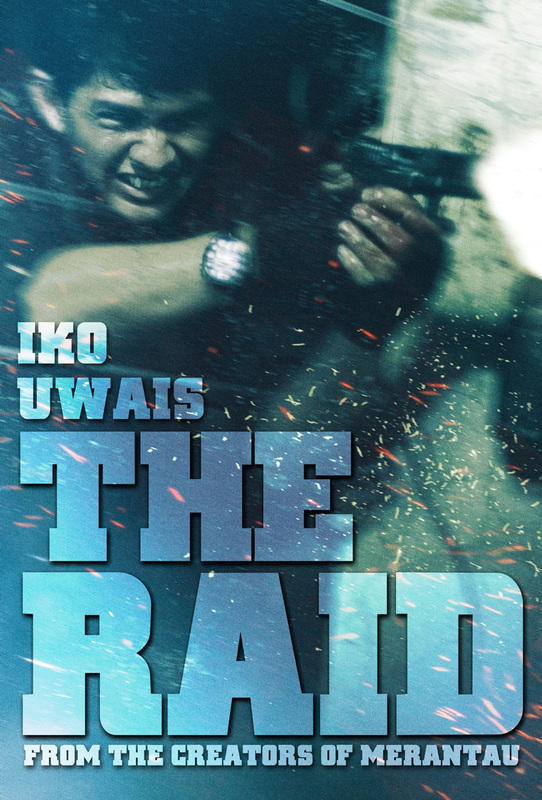 Iko Uwais as Rama, main protagonist and member of the rookie SWAT raid team who is hiding a (non-corrupt) secret. Donny Alamsyah as Andi, Tama's right hand man and the brain of Tama's narcotics business. Ray Sahetapy as Tama Riyadi, merciless and cunning drug lord in charge of the criminal-sanctuary apartment building, main target of the SWAT raid operation, and the main antagonist. Yayan Ruhian as "Mad Dog", Tama's brutal hitman and right hand man with deadly fighting skills. Pierre Gruno as Lieutenant Wahyu, a corrupted senior police officer who ordered the ill-fated raid who has a history with the drug lord Tama. Joe Taslim as Sergeant Jaka, team leader of the ill-fated SWAT raid operation. Tegar Satrya as Bowo, temperamental member of the rookie SWAT raid team. Eka "Piranha" Rahmadia as Dagu, member of the rookie SWAT raid team. Verdi Solaiman as Budi, member of the rookie SWAT raid team. Ananda George as Ari, member of the rookie SWAT raid team. MERANTAU - 2009 - Gareth Evans and Star Iko Uwais create a love affair with Silat.